DuraBeryllium® Plus windows are Moxtek’s most robust coated beryllium x-ray window. This window has an additional thin coating of polymer “Plus” applied to the already robust DuraBeryllium window. The Plus layer is more resistant to water and other harsh chemicals. DuraBeryllium Plus windows successfully withstand continuous exposure to heated water as well as to other chemicals. 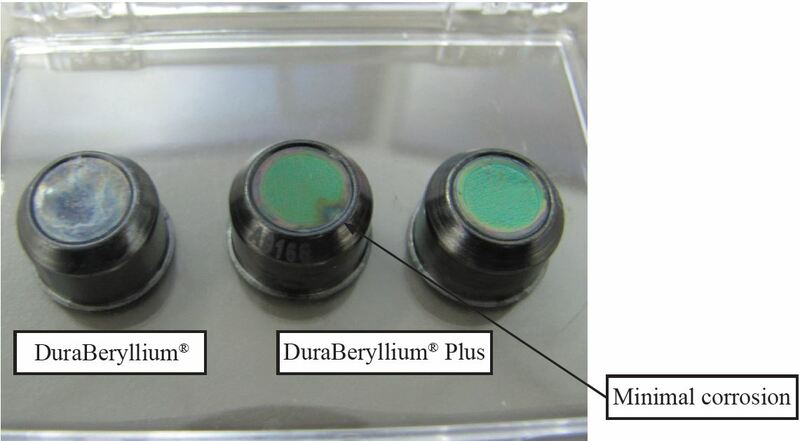 A series of tests were completed on DuraBeryllium windows as seen in the test summary below. 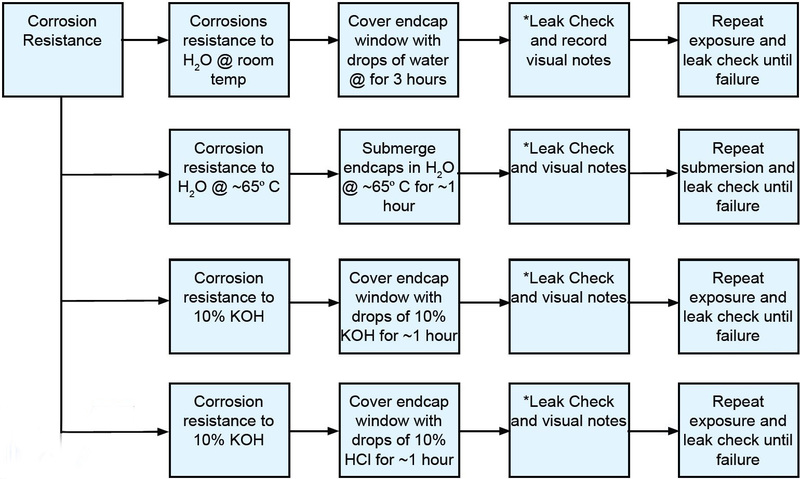 Part 1 of this application note details exposure of DuraBeryllium Plus to water, KOH, and HCl. Part 2 will be released later in 2012 and will include details of exposure of this window to other harsh chemicals. To demonstrate strength of the DuraBeryllium window, Moxtek pressure and thermal cycled thirty mounted windows. All thirty mounted windows were exposed to 10,000 cycles (15psi to atmosphere). Ten of these endcaps went through an additional 10,000 cycles. All windows withstood the pressure and thermal cycling without failure. The flowchart below details the testing procedure used. 8μm DuraBeryllium windows are very robust when continuously exposed to water at both room temperature and at 65º C. Conversely uncoated 8 μm beryllium windows will corrode when exposed to water within days. 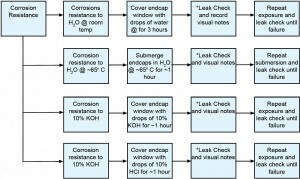 The flowchart below details the testing procedure used. The table below shows the robustness of DuraBeryllium windows when exposed to water. Blank box= no data collected. X= damaged. The images below were taken four months after exposure to H2O at room temperature. As seen in the images, there was some discoloration on the window coating but all windows were leak tight. 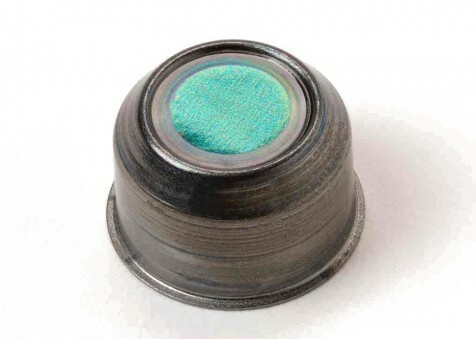 Under extreme KOH exposure for one week, DuraBeryllium Plus did not develop any leaks. Some visual polymer delamination was observed after 6 days. Prolonged exposure to KOH will eventually dissolve the polymer “Plus” layer. HCl reacts quickly with bare beryllium and corrodes 8μm Be windows within minutes. 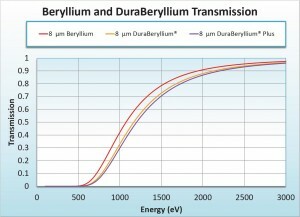 Both DuraBeryllium Plus and DuraBeryllium add some resistance to this harsh chemical but only for a few hours, as seen in the table below. speedily reacts under the surface of DuraBeryllium. DuraBeryllium Plus and DuraBeryllium Visual image above of DuraBeryllium Plus and DuraBeryllium after exposure to HCl for ~3 hours. HCl speedily reacts under the surface of DuraBeryllium. DuraBeryllium Plus windows demonstrate remarkable resistance to corrosion after prolonged exposure to heated water. Corrosion on DuraBeryllium Plus windows is minimal and delimitation is non-existent after continuous exposure times of over 6 months without any windows developing a leak. DuraBeryllium Plus windows are affected by exposure of HCl. This chemical will slowly dissolve the outer polymer layer but the beryllium window will still be protected by the inner DuraCoat layer. More testing will be completed at Moxtek to determine resistivity of the DuraCoat to this chemical and will be reported in a later application note. HCl reacts quickly with bare beryllium and corrodes through a 8μm Be foil within minutes. Both DuraBeryllium Plus and DuraBeryllium add some resistance to this harsh chemical but only for a few hours. DuraCoat Plus layers are applied to all Moxtek 8μm thick DuraBeryllium Plus window. The DuraCoat Plus layers consist of very thin layers of DuraCoat and polymer. These protective layers are very thin, and have little impact on x-ray transmission. DuraBeryllium and DuraBerylllium Plus windows are recommended for all applications that require 8μm thick beryllium windows.